Wow, there are a bunch of free samples today. Here is another one. 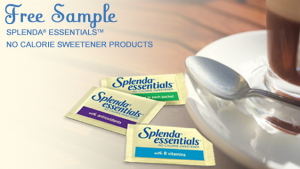 This one is for a free sample of Splenda Essentials Sweetener.